Who controls your narrative? Who — or what — dictates your morals? Whether we realize it or not, we're all beholden to something; we're all colored and influenced by what we choose to put in front of us. From entertainment choices to the consumption of books, websites and the like, information inundates every one of us on a daily basis. And that information transforms us in small and subtle ways. Over time, it holds the power to change our worldview. 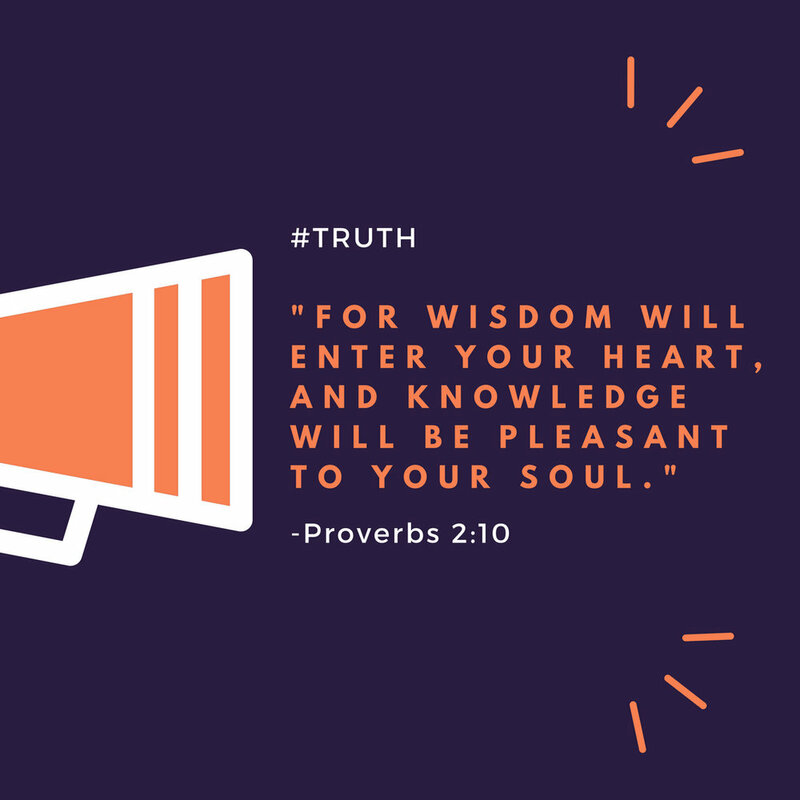 Proverbs 2 makes it clear, though, that true wisdom comes from only one source: God. This, of course, includes "knowledge and understanding" — central elements of the human experience. Yet too many of us get our knowledge and understanding from other, non-eternal places. We get so wrapped up in TV shows, movies and the like that we sometimes fail to realize that the information coming into our minds is having an impact on how and what we think. Meanwhile, we unfortunately allow that "data" to crowd out God-given knowledge. "For the Lord gives wisdom; from his mouth come knowledge and understanding. He holds success in store for the upright, he is a shield to those whose walk is blameless, for he guards the course of the just and protects the way of his faithful ones." Verses 9-10 go on to explain that people will learn "what is right and just and fair" by relying on God as the baseline: "For wisdom will enter your heart, and knowledge will be pleasant to your soul." So, the question is: what does each of us need to do today to be sure that wisdom and knowledge enter our hearts and sustain our souls? It's a convicting and important question for us all.